It’s difficult to show what I really do for couples each and every week at wedding receptions. Each wedding I entertain at is unique and special in it’s own way, whether that’s the atmosphere created by the guests, the location, or the selection of music played during the reception. 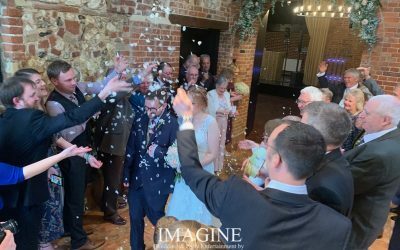 Rather than me writing a lot of sales-spiel (which if you’re anything like me puts you off of reading any further), here’s a selection of some of the more recent weddings I’ve worked at. 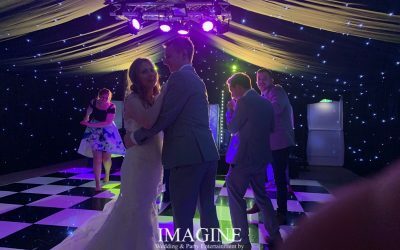 I’ve tried to give an honest account of each wedding so you can see how different weddings can be and how I’m able to adapt to suit your plans. Chloe & Ryan’s wedding at the DoubleTree by Hilton in Cambridge…a night of fun and games plus just a little bit of dancing. Another epic night of dancing at The Old Hall for Alex and Matt’s evening reception. Why not get in touch for a no-obligation chat about YOUR wedding or party!